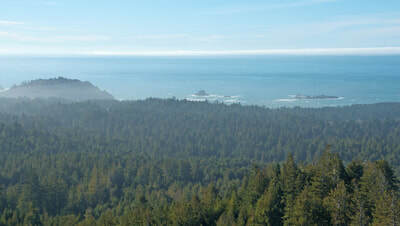 The proposed Strawberry Rock Redwood Forest Trail, in Trinidad, Humboldt County, CA is a 45-acre conservation easement acquisition project that includes a beautiful creek-side redwood forest grove and permanent public forest trail to Strawberry Rock, a massive on-shore sea stack that rises above the surrounding redwoods to offer visitors a magnificent ocean view over the forest canopy. 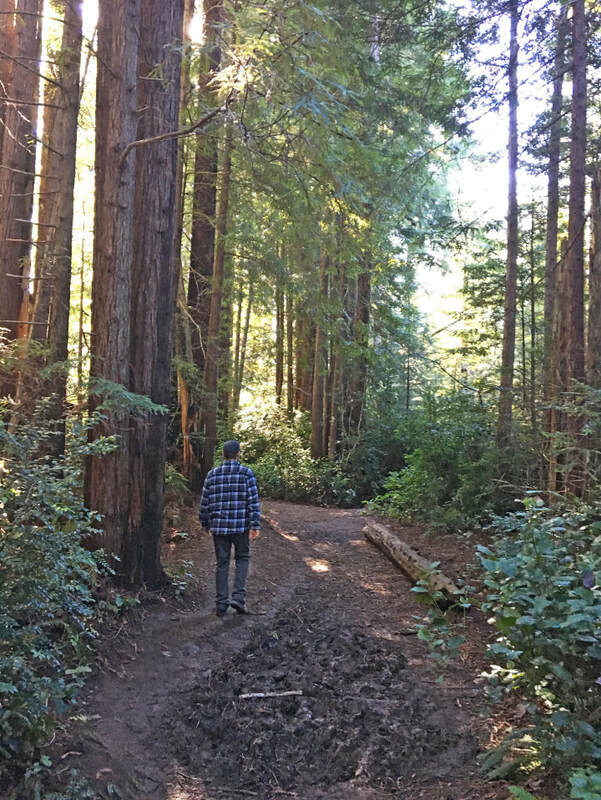 Trinidad Coastal Land Trust, working with private landowner, is leading the effort to purchase and permanently protect this special culturally-significant place as a low-impact public recreation trail and conservation area in the redwood forest. Approximately $800,000 total in grant funding from agency conservation programs or a conservation foundation still needs to be raised to purchase and permanently protect the Strawberry Rock Redwood Forest Trail, which includes the redwood forest grove, public access trails, riparian areas and special rock. Lead partner Trinidad Coastal Land Trust has a three-year option agreement with landowner to purchase the 45-acre conservation easement. 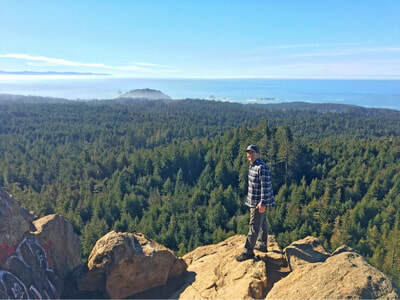 The trail is already popular with county residents, tourists, students, and is Humboldt State University’s most popular redwood forest-ocean view day hike destination. 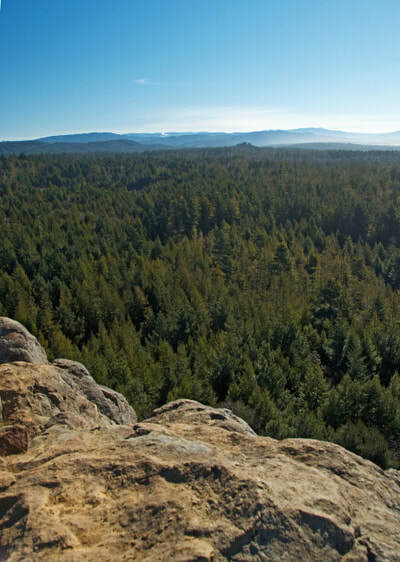 Strawberry Rock holds cultural and spiritual significance to the Yurok People of the Yurok Tribe and Trinidad Rancheria. Many entities like the City of Trinidad, Visitors Bureau, Chamber of Commerce and County of Humboldt endorse purchasing the trail for public benefits. People often experience inspiration and a renewed conservation ethic while visiting this easily-accessible redwood forest trail with clean, ocean air. This is the place to promote conservation values needed to inspire future generations, to cultivate appreciation for nature and strengthen our collective conservation ethic. ​ end of county road; trail head behind gate on private property. The proposed area had an approved timber harvest plan and threats include rock quarry, residential subdivision, forest clear-cut and enforcement of private property no-trespass laws. Timber harvest is temporarily restricted via an option-to-purchase contract between Trinidad Coastal Land Trust (TCLT) and landowner, Green Diamond Resource Co. (GDRC), who is a willing seller, project partner and advocate. Presently the area is visited illegally by the public via trespass. Permanent legal public access will inspire future generations of conservationists and help develop a collective conservation ethic. 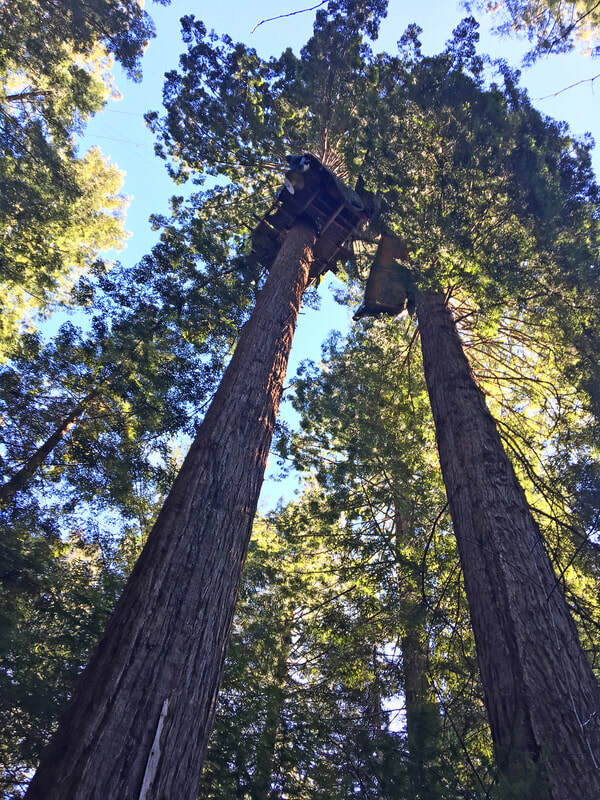 Although the area is currently private property, the trail head has introduced thousands of residents, visitors, students, and tourists from all socio-economic and cultural backgrounds to the importance of redwood forest conservation. 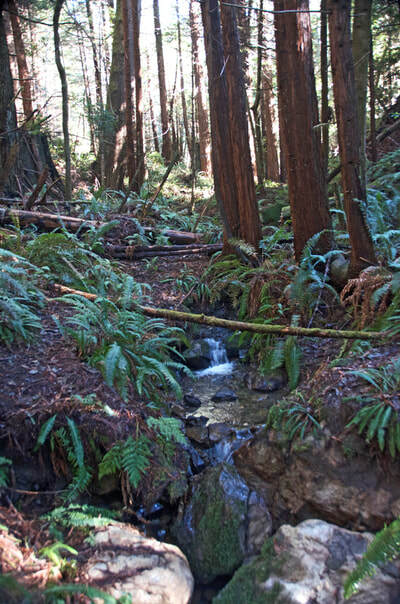 Trail improvements will benefit Mill Creek watershed which flows into the Trinidad State Beach. 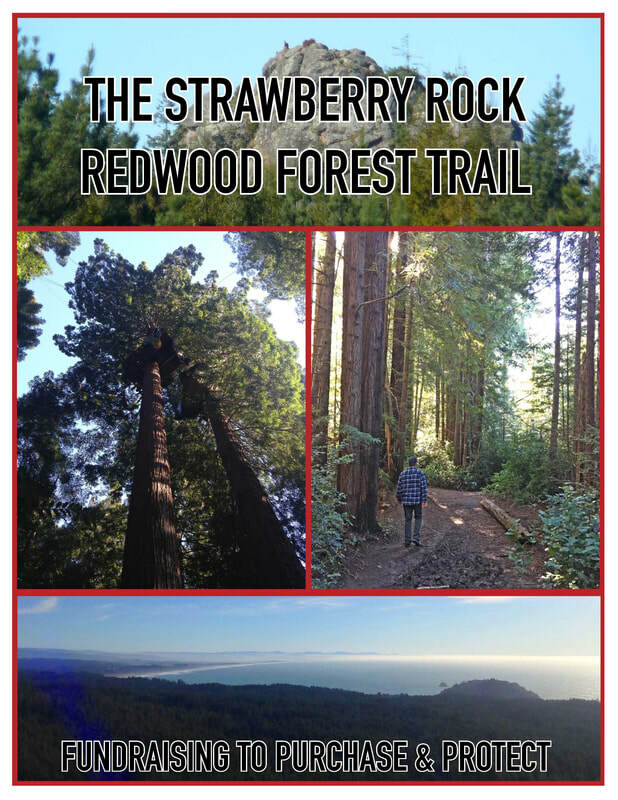 The Yurok People of the Yurok Tribe and Trinidad Rancheria hold Strawberry Rock as a culturally significant and sacred place. Amazing views of the California Coastal National Monument and Pacific Ocean from the summit make this trail a potential highlight spur trail of the nearby California Coastal Trail. 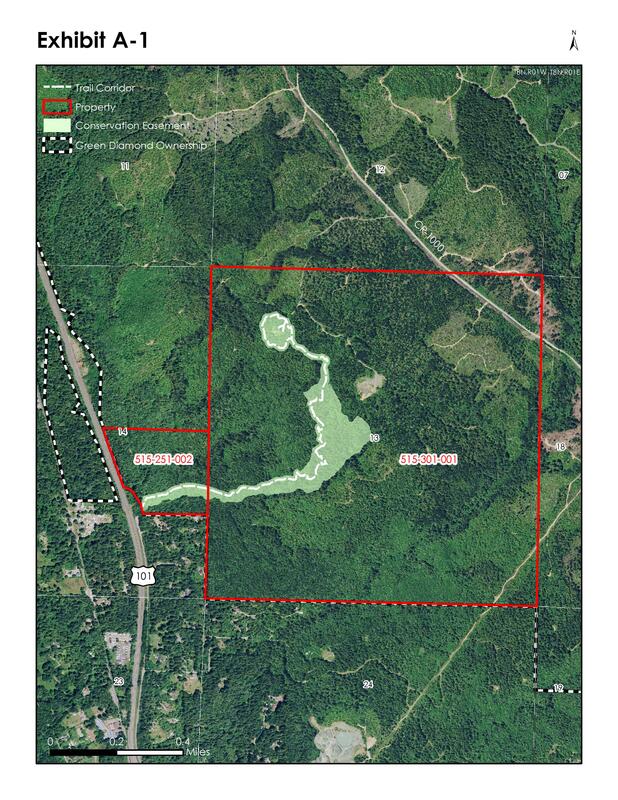 The estimated appraisal value to purchase the 45-acre forest, rock and trail public access conservation easement is $800,000. rare opportunity to purchase and establish a public trail and conservation area for future generations today. 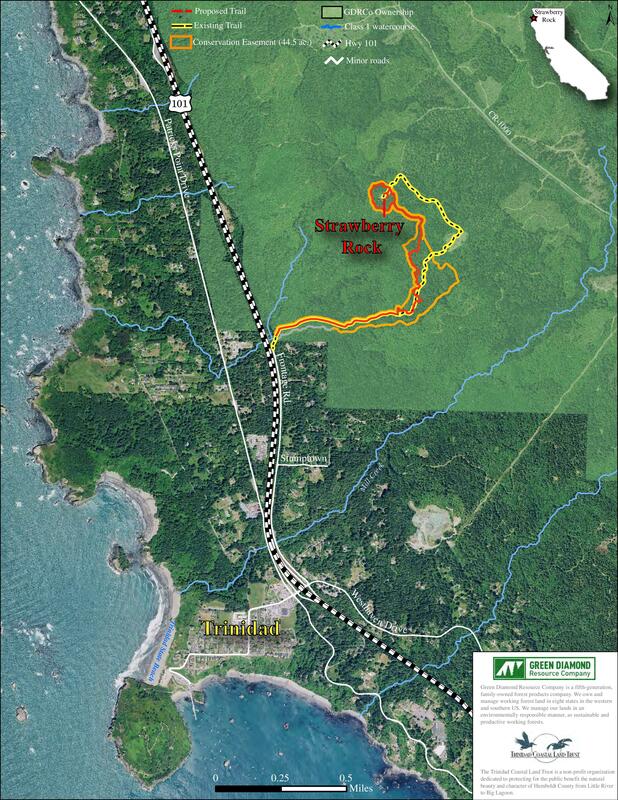 The proposed trail is directly off U.S. Hwy 101 in Trinidad, CA. and easily accessible for public use with an existing county road public parking area. 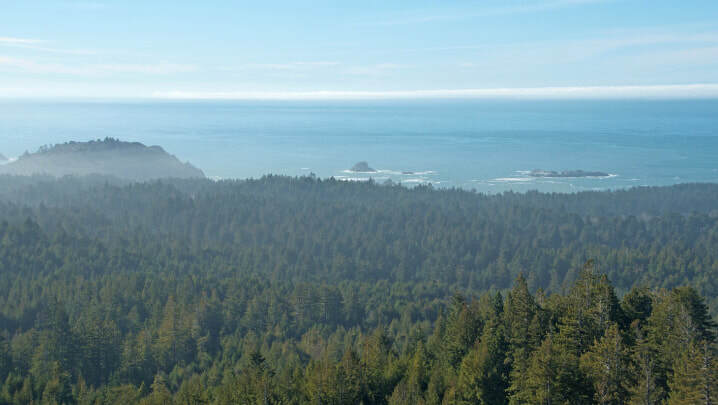 With expansive views of the Pacific Ocean and the CA Coastal National Monument, this trail should become a recognized spur of the CA Coastal Trail.